Take in the views from a rooftop terrace and a garden and make use of amenities such as wireless Internet access (surcharge). Guests can catch a ride to nearby destinations on the area shuttle (surcharge). Enjoy fusion cuisine at Belvedere, one of the hotel's 2 restaurants, or stay in and take advantage of the room service (during limited hours). Snacks are also available at the coffee shop/café. Wrap up your day with a drink at the bar/lounge. Buffet breakfasts are available daily from 7:00 AM to 10:00 AM for a fee. At Hotel Adriatico, enjoy a satisfying meal at the restaurant. A complimentary buffet breakfast is included. This hotel is situated in the centre of Timisoara, near the university, the opera house, the national theatre and the stadium. It is 5 km from the train station and 10 km from Timisoara International Airport. A total of 16 rooms are on offer, including single, double and triple rooms and the hotel also has a 24-hour reception service, a moneychanger and a car park. A laundry service is available. The hotel includes en suite king-size and twin rooms, offering quality services including satellite TV, centrally regulated air conditioning, central heating, fridge/minibar, hairdryer and Internet access. Guests are accommodated on a bed and breakfast basis with lunch and dinner available à la carte. With a stay at Euro Hotel, you'll be centrally located in Timisoara, within a 10-minute drive of Piata Traian and Dan Paltinisanu Stadium. This hotel is 1.2 mi (1.9 km) from Millennium Church and 1.4 mi (2.2 km) from Politehnica University. The Ambassador Hotel is located in a quiet area of Timisoara, near the historic city center. The hotel rooms have their own decor and color. There are also non-smoking rooms. The restaurant is open daily from 7:00 am to 11:00 pm except for the times when there are private parties and the program is extended. The hotel also has three meeting rooms with different capacities. The rooms are equipped with bathroom, air conditioning, LCD TV, fridge, wifi and radio. There are non smoking rooms. With a stay at Hotel Galaxy in Timisoara, you'll be within a 15-minute drive of Iulius Mall and Piata Uniri. This hotel is 3 mi (4.8 km) from St. George's Cathedral and 3.1 mi (5 km) from Serbian Orthodox Cathedral. This hotel is located on the road from Timisoara to Belgrade, opposite the Merto Cash and Carry store and next to the Incontro industrial park, a quiet place with no pollution. 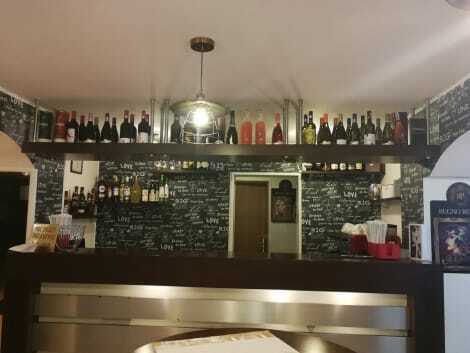 Guests will find the nearest restaurants and bars in the immediate vicinity and it lies just around a 15-minute drive from the centre of Timisoara and the train station. Timisoara Airport is approximately 14 km away. This city hotel comprises a total of 41 rooms including 24 singles, 1 junior suite and 5 apartments and is the ideal place for rest, relaxation and a friendly atmosphere. It offers the peace and privacy guests need and has no shortage of facilities. Facilities on offer to guests at this air-conditioned establishment include a lobby area with a 24-hour reception and check-out service, a hotel safe, a currency exchange facility and lift access. There is TV, a terrace, a café, a bar and a restaurant and guests will appreciate the conference hall seating 150 persons, and the wireless Internet access (charges apply). They can also take advantage of the room service (for an additional fee) and there is space for 150 cars in the car park (charges apply). All rooms come with a private bathroom with a shower and a hairdryer and offer a king-size or double bed. They are equipped with a direct dial telephone, satellite/cable TV, Internet access and a minibar/fridge. Furthermore, an ironing set, air conditioning and central heating are provided in all accommodation units as standard. Guests can rent quad bikes, bicycles and scooters, and the hotel offers a multifunctional sports field where guests can go jogging or play tennis or football. The hotel hosts symposiums, training seminars and various festive celebrations and offers 2 rooms seating 130 and 300 respectively and a restaurant serving Mediterranean and international cuisine. There is also a select wine cellar for connoisseurs and a wood-burning pizza oven. lastminute.com has a fantastic range of hotels in Timisoara, with everything from cheap hotels to luxurious five star accommodation available. We like to live up to our last minute name so remember you can book any one of our excellent Timisoara hotels up until midnight and stay the same night.